The manner and extent to which voice amplitude and frequency control mechanisms change with age is not well understood. The related question of whether the assessment of one’s own voice evolves with age, concomitant with the acoustical changes that the voice undergoes, also remains unanswered. In the present study, we characterized the aging of voice production mechanisms (amplitude, frequency), compared the aging voice in different experimental contexts (vowel utterance, connected speech) and examined the relationship between voice self-assessment and age-related voice acoustical changes. 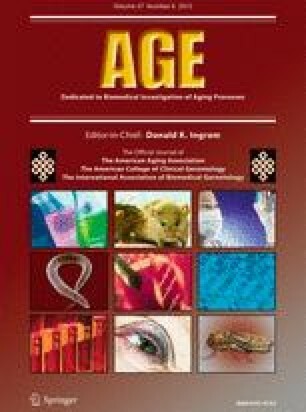 Eighty healthy adults (20 to 75 years old) participated in the study, which involved computation of several acoustical measures of voice (including measures of fundamental frequency, voice amplitude, and stability) as well as self-assessments of voice. Because depression is frequent in older adults, depression and anxiety scores were also measured. As was expected, analyses revealed age effects on most acoustical measures. However, there was no interaction between age and the ability to produce high/low voice amplitude/frequency, suggesting that voice amplitude and frequency control mechanisms are preserved in aging. Multiple mediation analyses demonstrated that the relationship between age and voice self-assessment was moderated by depression and anxiety scores. Taken together, these results reveal that while voice production undergoes important changes throughout aging, the ability to increase/decrease the amplitude and frequency of voice are preserved, at least within the age range studied, and that depression and anxiety scores have a stronger impact on perceived voice quality than acoustical changes themselves. The authors thank all the participants. This study was supported by grants from the “Fonds de la Recherche du Québec Société-Culture” (FRQ-SC) and the “Fonds de la Recherche du Québec en Santé” (FRQS) to P.T. and from a graduate scholarship from the Natural Sciences and Engineering Research Council of Canada (NSERC) to C.L.L. P.T. and M.J.G. hold Career Awards from the “Fonds de Recherche du Québec – Santé” (FRQS).